Home » About » What is UNNExT? 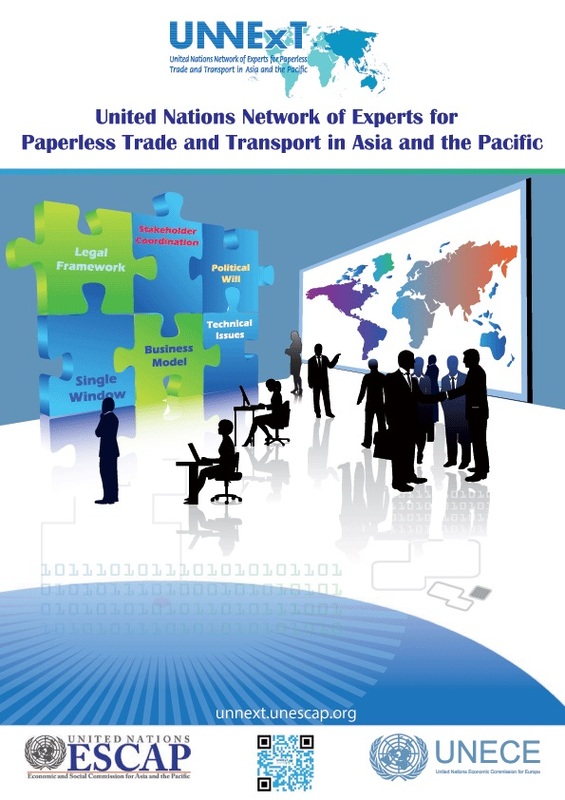 The United Nations Network of Experts for Paperless Trade and Transport in Asia and the Pacific (UNNExT) is a community of knowledge and practice for experts from developing countries and transition economies from Asia and the Pacific involved in the implementation of electronic trade systems and trade facilitation. 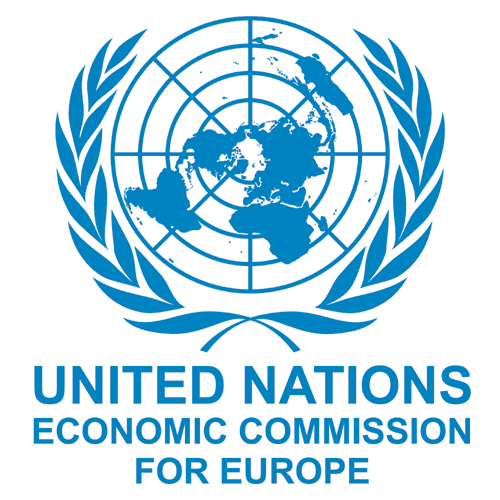 Established by the UN Economic and Social Commission for Asia and the Pacific (ESCAP) and UN Economic Commission for Europe (UNECE) in 2009, it aims to support national, sub-regional and transcontinental Single Window and paperless trade initiatives. Its emphasis is on training, knowledge sharing, and application of international standards that are developed by the United Nations Centre for Trade Facilitation and Electronic Business (UN/CEFACT), the World Customs Organization, and other relevant organizations. Tools and guides development activities: the network develops guides and training materials to bridge the gap between the standards developers and the “implementers” and emerging experts in developing countries. Capacity building (training) activities: the network delivers trainings and capacity building programmes at the national and regional levels, using the knowledge and tools developed by the network and its partners. An important feature of the network training programmes is that it relies heavily on peer-to-peer support, where experts and practitioners from countries with advanced paperless trade systems transferring their know-how and experience to those in less advanced countries. Knowledge sharing activities: the network provides new and specialized knowledge sharing mediums, such as the UNNExT policy brief series “Towards a Single Window Trading Environment” used to disseminate good practices and case studies on paperless trade environment development. It also organizes subregional and regional thematic events to discuss emerging paperless trade facilitation issues and create synergies between existing initiatives in the region and beyond, including through it support to the Asia-Pacific Trade Facilitation Forum. Regional Advisory Services: the network facilitates delivery of advisory services on trade facilitation and paperless trade, in particular for least developed countries. Once the nature and scope of the services request are identified, the ESCAP/ECE Secretariat can identify the most appropriate available expert for its delivery. Research and Analysis: the network collaborates with the Asia-Pacific Research and Training Network on Trade (ARTNeT) to deliver analytical studies related to trade facilitation and paperless trade. The collaboration between the two networks creates synergies between academic and policy research economists and trade facilitation practitioners and technical experts, to deliver more relevant studies, increase dissemination of ARTNeT research findings, and promote utilization and implementation of UNNExT tools and guides. The work programme of UNNExT initially focused on 4 priority areas essential to moving forward on trade facilitation and paperless trade: (1) Trade Process Analysis; (2) Document Simplification and Data Harmonization; (3) Legal Framework Development; and (4) Single Window Planning and Implementation. Building on work done in these core areas between 2010 and 2012, UNNExT has taken a more sectoral approach and is now focusing on (5) Agricultural Trade Facilitation, (6) SME Trade Facilitation, and (7) Transit Trade Facilitation. Importantly, UNNExT is also supporting the implementation of ESCAP Resolution 68/3, which sets the stage for the development of regional arrangement(s) for cross-border paperless trade facilitation. The Secretariat of the network is provided by ESCAP (Trade Facilitation Section, Trade and Investment Division), in collaboration with UNECE (Global Trade Solutions Section, Trade Division). 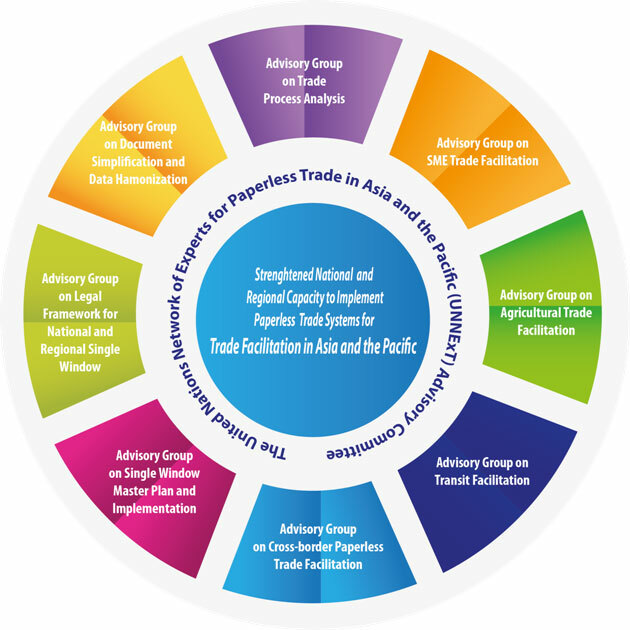 The Advisory Committee provides guidance on the work programme and activities of the network; promotes the network as a multi-stakeholder knowledge platform; and identifies potential synergies between the network and other trade facilitation institutions. The NFPs identify local experts and institutions that play a key role in trade facilitation; provide national updates on progress made towards paperless trade and trade facilitation; and disseminate UNNExT tools and information to relevant national stakeholders. Evidence that the applicant is actively involved in trade facilitation and e-trade related projects, or that he/she can contribute to the mission and objectives of the network. Individuals who completed a UNNExT training-of-trainers programme and subsequently conducted national-level training. 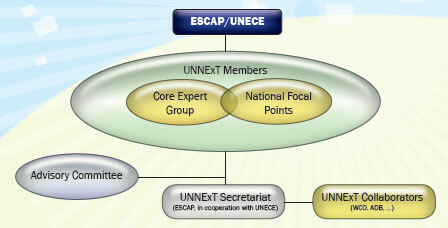 Relevant organizations with which ESCAP and UNECE collaborate include: the World Customs Organization (WCO), the United Nations Commission on International Trade Law (UNCITRAL), the United Nations Conference on Trade and Development (UNCTAD), the United Nations Industrial Development Organization (UNIDO), the World Bank, and the Asian Development Bank, etc.